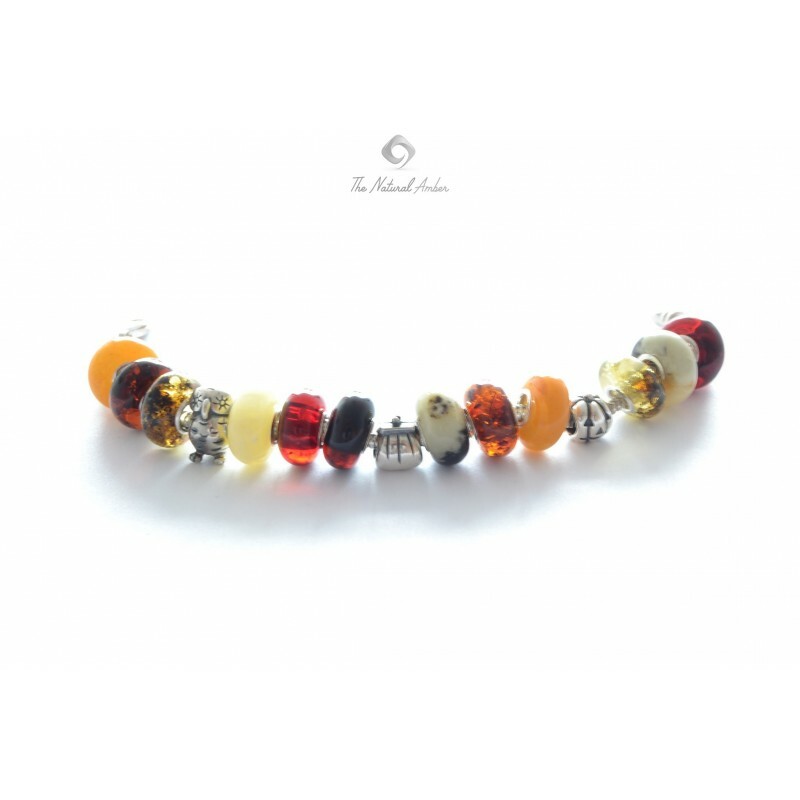 This Pandora & Troll Style Bracelet contains all colors of Genuine Baltic Amber Beads. 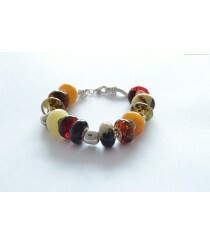 Every PANDORA style bracelet / necklace is created with a combination of amber beads, spacers and clasps. You can choose from our product made jewelry or choose from the loose Pandora style amber beads and spacers - and we will collect your desired design! Also you can only buy Pandora Style Amber Beads and made the jewelry yourself! Bracelet can be made using silver or leather chain, necklace can be made using leather chain. We use only natural Baltic Amber and only Sterling Silver 925. Simply choose your favorite color (or colors) of amber and add it to your bracelet / necklace. Classy and modern design for you!